Shima Onsen is in a rural Onsen resort area near Tokyo ( about 150 km north of Tokyo). There are several ways to get from Tokyo to Shima Onsen; by expressway bus direct to Shima Onsen, car, or a combination of train and bus. (See ACCESS & MAP link in the blog). 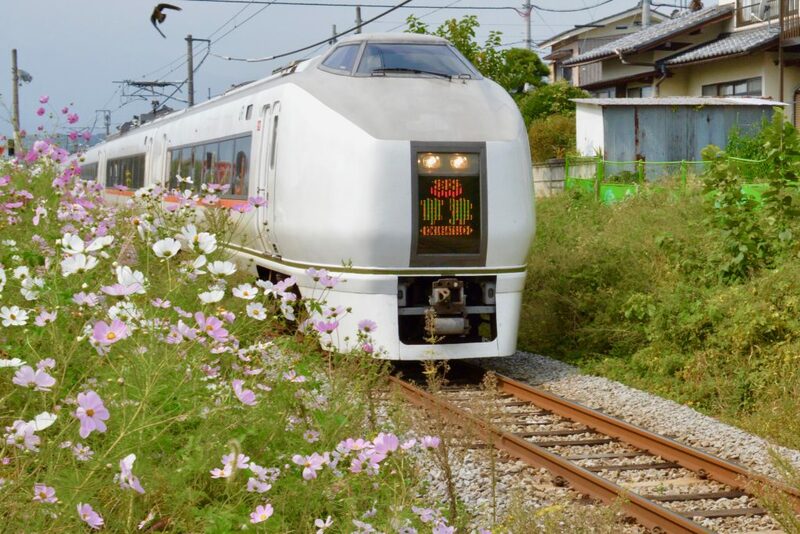 Coming to Shima Onsen by the rail and bus option can be very economical if foreign travelers use one of Japan Rail (JR) passes available to them. These passes are exclusively for non-resident foreign tourists, and offer excellent value for the money. 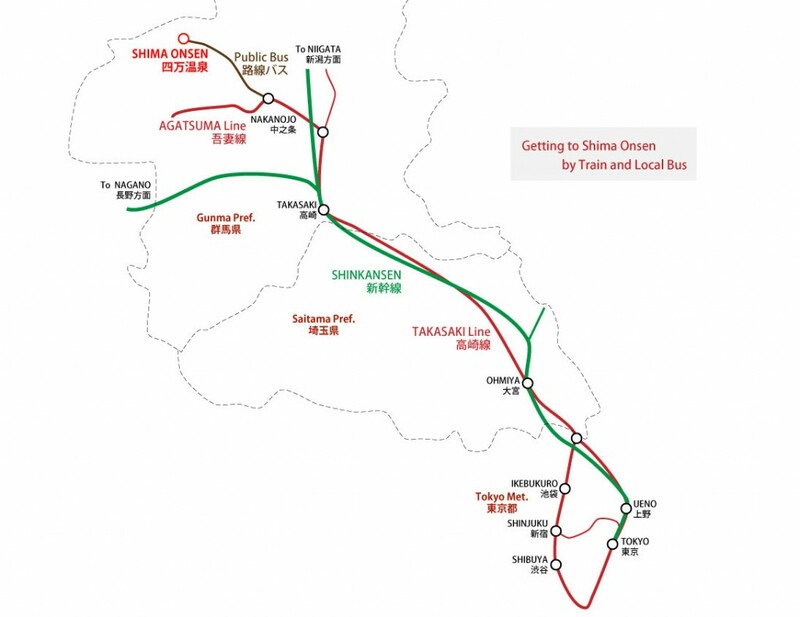 We would like to introduce you to the available JR passes with which you can enjoy unlimited train travel (on available routes) around Shima Onsen area. We would like you to find a JR pass that matches your travel plans. We hope you can enjoy your travels in Japan with one of these bargain passes. 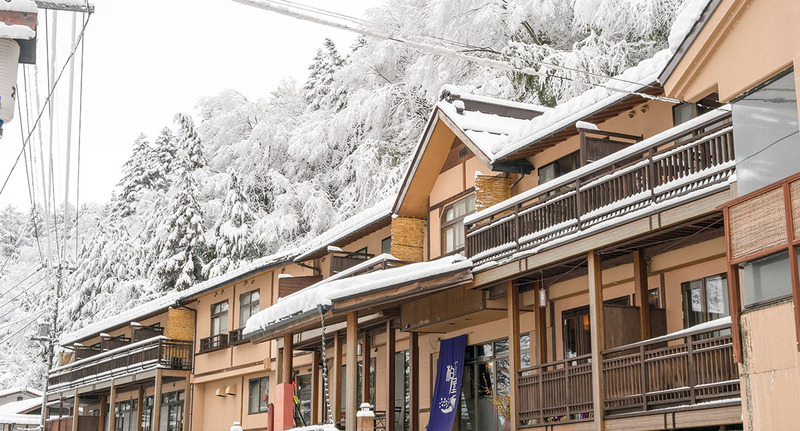 “Shima Onsen” is closer from Tokyo, where you can enjoy old-fashioned country taste of Japan. It is an Onsen resort, where we live. Shima Onsen is located in Gunma Prefecture, which is at Kanto region in Honshu in Japan. It is located at approximately 150km in a straight line from Tokyo. It will take about 3 hours by trains, a direct bus, cars, and so on to visit us. Here is the detailed guide for the access. Drive trip in a car. Watch out road closures during winter. In my previous blog, I wrote an article to recommend using a rental car for traveling areas close to airports and major cities, such as onsen near Tokyo. By using a rental car, you can travel more freely at the destination suburbs. 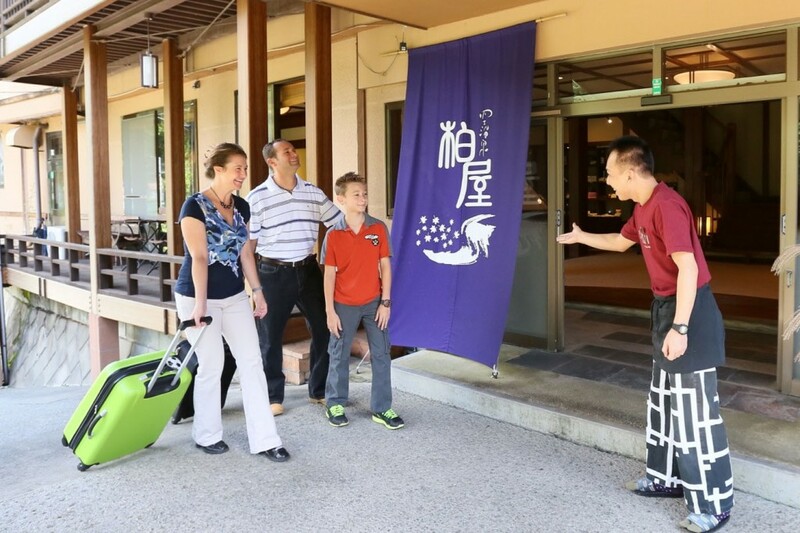 Gradually more and more foreign customers also visit our Shima Onsen Kashiwaya Ryokan by rental cars. For such customers, watch road closures information during winter. Our Shima Onsen is located in Gunma, which is next to Shibu-Yudanaka Onsen in Nagano famous with snow monkeys, Tochigi with Nikko, Niigata with Naeba Ski Resort and so on. The boundaries between those prefectures often pass through mountain roads. In addition, some of main roads are closed during winter due to snow. Also on the other day, a customer tried to visit us by a rental car from Nagano side. But he had to take significant detour as the planned road was closed during winter. Since this kind of information is hardly transmitted to customers overseas, it will be a sudden problem when they try to visit us with GPS and maps. Although you can obtain information in Japanese through Japan Road Traffic Information Center, it seems that they do not transmit the information in English. The winter road closures, which seem to be related to customers to Shima Onsen, are the following two sectors. It is a road, which passes from Shibu-Yudanaka Onsen in Nagano famous with snow monkeys to Kusatsu Onsen in Gunma, through Shiga Kogen. It is a road, which passes from Nikko in Tochigi with Nikko to Katashina in Gunma, through Konsei Toge. 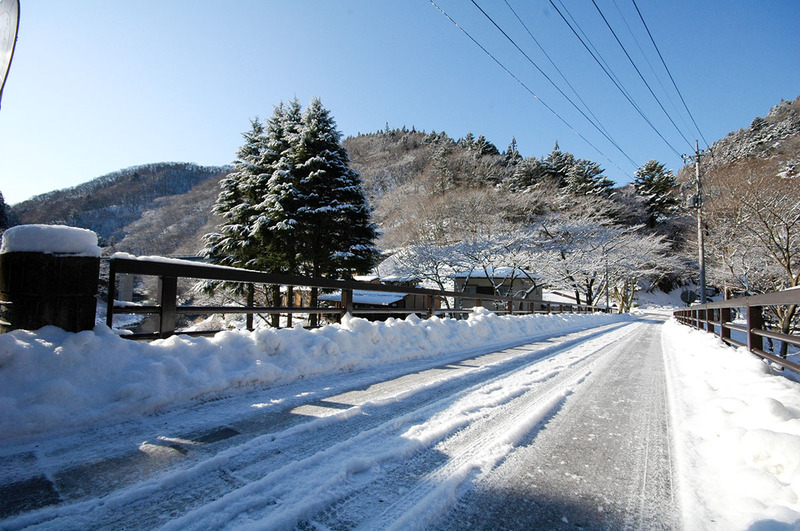 If you’re planning to drive to snowy places during winter, obtain winter road closure information in advance and act with spare time, such as by inquiring to hotels and ryokan you are planning to stay. Let’s go to Shima Onsen by a rental car! You’ll have more fun! When you travel by a rental car, you will utilize the highway network that covers every corner of Japan. As highways in Japan are paid, it is recommended to obtain ETC( Electronic Toll Collection ) card, which is useful to pay the fee. Concerning ETC card, refer to the following link. How to obtain the ETC card; there is a rental service for short-term users. 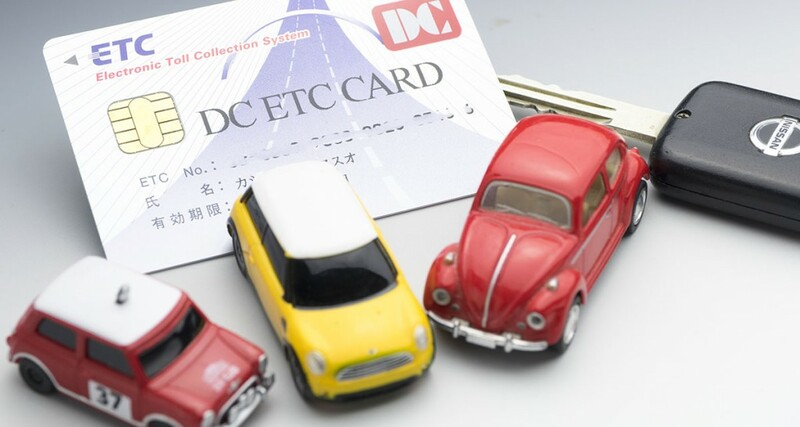 As English is available, you can rent an ETC card for 324JPY per day (February 2016 currently) also at Toyota Rental Car that I recommended in the previous blog. Just set the ETC card in a vehicle-mounted device, then it automatically calculate fees. So you just liquidate collectively when you return the car. They often sell valuable ETC cards, which are season limited or region limited. When you rent a car, rent an ETC card at the same time. Then enjoy the drive travel !